Answer A is correct choice. When I used int z=4 in dostuff2(),I get 0 as output.why? 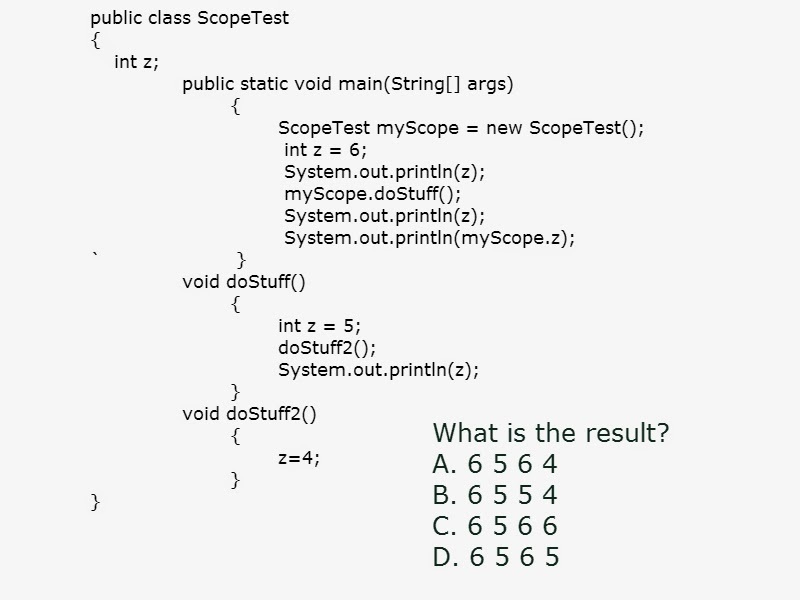 Hello Venkatesh, When you use int z=4; in doStuff2() method it will create a local variable named Z in doStuff2() body which is a local variable and can not be accessed out of doStuff2(), in this case the class level variable z still have default value 0.